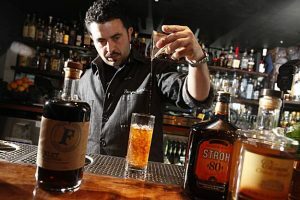 In the Craft Spirits Tasting Area we welcome back San Francisco native Reza Esmaili, founder of Ananas Consulting and esteemed Western Regional Vice President of the United States Bartenders Guild. He brings 27 years of hospitality experience into an entertaining and informative “Cocktail Camp” for attendees to participate in. Cocktail Camp sessions feature craft spirits served in classic cocktail tastings with fundamental technique training. Using these best practices, you can learn to prepare cocktails like a pro at your next home event. 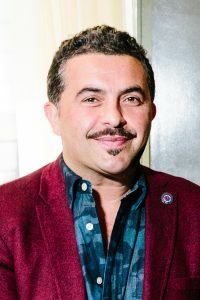 During his 27 years in the San Francisco hospitality trade, Reza has held many positions including Bar Director, General Manager and Operating Partner. In 1999 he managed one of The City’s first artisanal cocktail programs at Gordon’s House of Fine Eats. His talents have contributed to the launch of multiple notable endeavors and garnered numerous accolades, including a 2009 SF Chronicle “Bar Stars” feature. Launched in 2013, Reza has expanded the services of Ananas Consulting from Mill Valley, California to Miami, Florida. Amongst many beloved projects, he has conceived the bars of the historic live music venue Sweetwater Music Hall and La Mar by Gaston Acurio at the Mandarin Oriental Hotel. Since 2015, Reza has also proudly represented Casa Noble Tequila. He feels honored to advocate on behalf of the historic spirit of Mexico and to compliment the efforts of a dynamic brand team. Ananas Consulting is also currently refining the bar experience at the W Hotel San Francisco and Hollywood properties. Reza has been an active member of the esteemed national trade organization, United States Bartender’s Guild, for 13 years. In addition to a previous term as President of the Northern California Chapter of the USBG, he was re-elected to a third term in 2018 as Western Regional Vice President. As a member of the National Board of Directors, he serves on several committees that chart the course of this growing organization. “Substance, Service, and Style” is the theme for every Ananas project; be it a restaurant or bar launch, informative seminar, or as “Master of Ceremonies,” you are sure to find all three elements expertly represented. Reza lives in Pacific Heights, visits his mom weekly and loves the color pink.